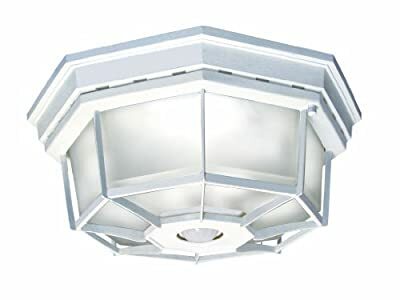 The SL-4300-WH decorative ceiling light provides 360-degree motion detection up to 30 feet. Uses (4) candelabra base incandescent bulbs (25 watts max each - not included). Features include DualBrite two-level lighting.